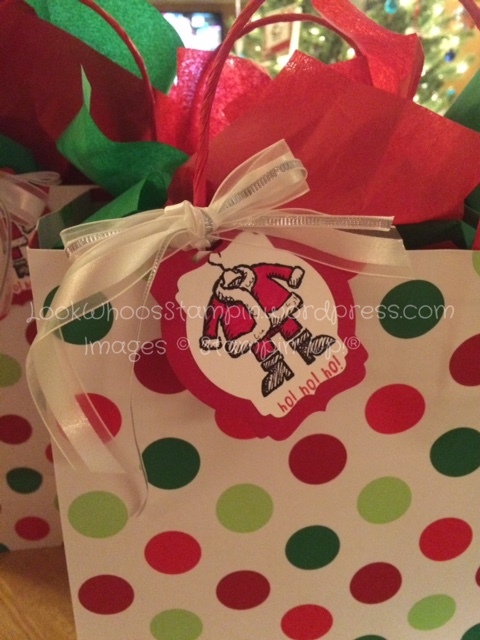 Since December is the time of year for lots of gift giving, I had to make my own gift bag and matching tags! I love to make them to match my holiday cards! 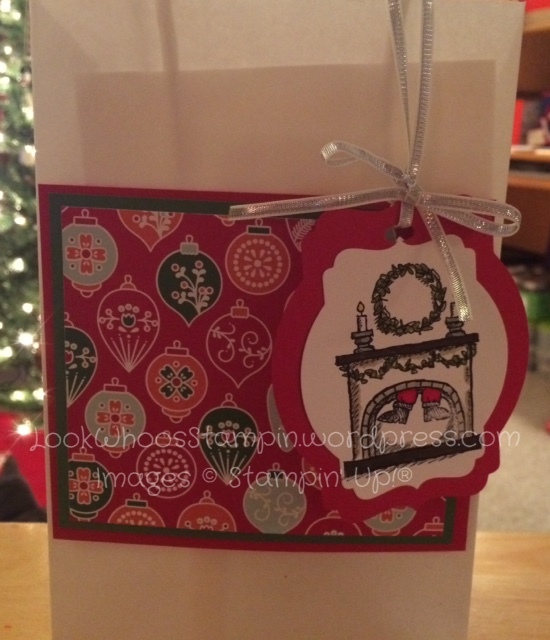 This year’s bags and tags uses the Get Your Santa On stamp set, which I love! 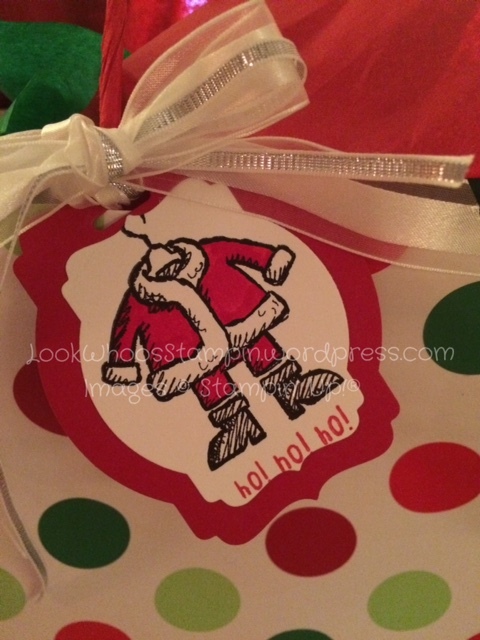 This stamp set is so cute and when you use it with your StazOn ink you can color Santa and his suit. (Make sure that you let the StazOn ink dry before you start to use your Stampin’ Write Markers to color.) It makes for a very fun and memorable tag. I use a plain white gift bag as my base for the gift bag which you can get at your local store that sells gift bags and crafts. Things I used for this project: Nordic Noel designer series paper (item 135822), Real Red card stock (item 102482), Garden Green card stock (item 102584), Whisper White card stock (item 100730), Get Your Santa On stamp set (item 135761), Real Red Stampin’ Write Marker (item 100052), Old Olive Stampin’ Write Marker (item 100079), Daffodil Delight Stampin’ Write Marker (item 119677), Early Espresso Stampin’ Write Marker (item 119680), 1/8″ silver ribbon (item 132137), StazOn Jet Black Ink (item 101406), Deco Label Collection framelits (item 130102) and of course my favorite, the big shot! « Season Greetings and Endless Wishes!